Often referred to as ‘The most Hawaiian island’ Molokai provides a unique experience to those willing to reconsider their standard escape. 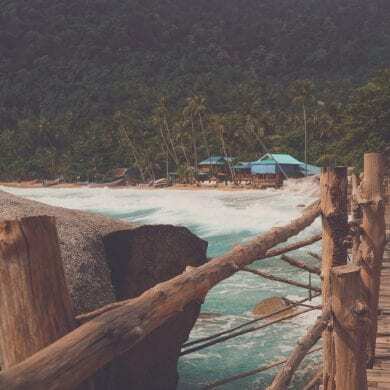 With little other than true Aloha on offer, the island will force even the most formidable workaholic to slow down and disconnect. First time visitors should note that unlike its neighbours, Molokai does not offer the quintessential Hawaiian holiday. There are no major chain hotels and supermarkets, no five star resorts and very few tour operators. Molokai offers a glimpse into times long past – A time when Hawaiian royalty ruled over the island, when the locals fished the waters off the coast and lived off the land. Without the usual selection of restaurants, activities and tours to occupy your time Molokai encourages you to connect with the heritage of the Hawaiian people, to drink in the lush landscape and immerse yourself in the tropical waters. The most underdeveloped of the Hawaiian Islands Molokai does not offer the same number of goods and services that are found elsewhere in the archipelago. Mokulele Air operate slightly different checked and carry-on baggage allowances to many international carriers. 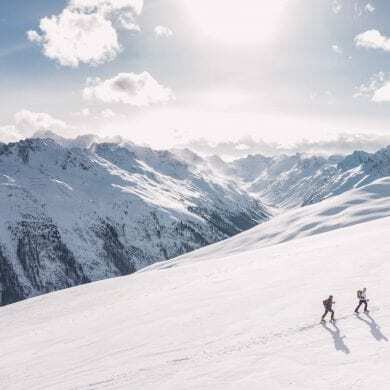 For example checked luggage must be under 50lb/22.6kg in weight and they will not carry anything over 6ft in length ie surfboards and fishing equipment. Check current restrictions here. If you require any daily medicines ensure you pack amble for your stay. There is a pharmacy on the island but there is no guarantee they will have what you need. Toiletries are expensive on the island so I highly recommend bringing your own supply. If you plan to be in the water, ensure you have a water resistant sun cream and re apply regularly as the sun is very strong. Bug repellent is recommend if you plan to hike along the numerous valley trails – don’t forget to carry plenty of water with you and notify someone of your plans if you head out to explore on foot. Groceries are more expensive than elsewhere in Hawaii but do not try and bring your own. Fresh fruits and vegetables are a definite no-no although you may be able to get away with bringing in a jar of your favourite condiment – as long as you declare it on arrival. Take note that the same applies when you travel out of Molokai, neighbouring islands may seize certain food stuffs on arrival. While you won’t need outfits for all occasions it’s worth noting that there is very limited clothes shopping on the island. Pack everything you need otherwise you may have to go without. If you plan to arrive by air, Mokulele Air offer daily flights from Ohau, Maui and Hawai’I (The Big Island). Note that while most routes operate a regular service, the last flight of the day will depart around 6pm. 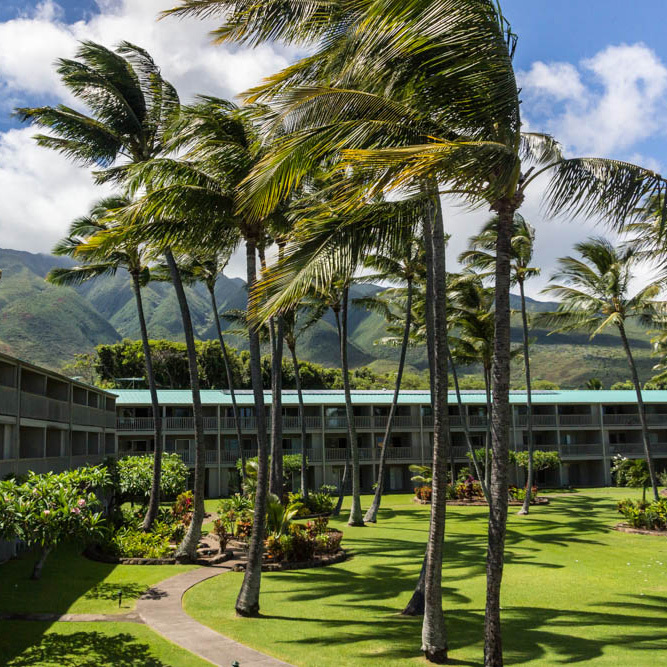 If you plan to arrive from an international location and connect across to Molokai it may be necessary to book a layover on either Oahu or Hawai’i. Arriving onto Oahu after dark on an international flight from New Zealand, we checked into the Honolulu Airport Hotel and flew out to Molokai on the first flight the following day. Should you find yourself in a similar position I highly recommend a short layover at this Outrigger property. Thanks to their free airport shuttle and affordable nightly rates we were able to maximise our time on Molokai. Molokai is a great destination for a day trip. If you plan to visit neighbouring Maui you should definitely consider leaving the hustle and bustle of Lahaina behind for a day of disconnect bliss. Ferries operate a twice daily service – contact the Hawaiian Ocean Project for a current timetable and pricing. There is no public transport on Molokai so factoring the cost of car rental into your budget is a prerequisite for your vacation prep. For international visitors Alamo offer standard car rental packages, we paid around $280 for one week rental of an economy class car however on arrival we received a free upgrade to a convertible sports car….Bonus! Take note that as with most car rental companies both Alamo and Mobettah Cars will charge you a premium should you return the car without having filled the tank with fuel. There are two petrol stations on the island and both are in the town of Kaunakakai so plan to call in here to fill up on your way back to the airport. 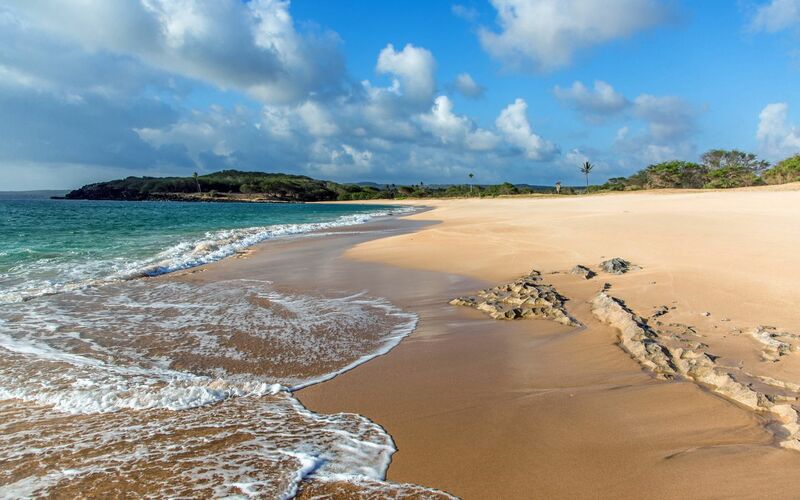 Unlike neighbouring Maui, Lanai and Oahu, Molokai offers very few accommodation options. Yet despite the closure of the island’s only resort in 2008, there are still plenty of places to lay your head. During our week on Molokai we rented a one bedroom Vacations-Abroad.com Wavecrest Condo which offers self-catered accommodation, a private lanai with views over the ocean to Maui, and use of a private pool. It is also equipped with snorkelling gear, beach towels, games and a small library of reference books detailing various aspects of the island and its heritage. If self-catering your stay doesn’t appeal – although I highly recommend it as the dining options on the island are very limited – then take a look at Hotel Molokai. 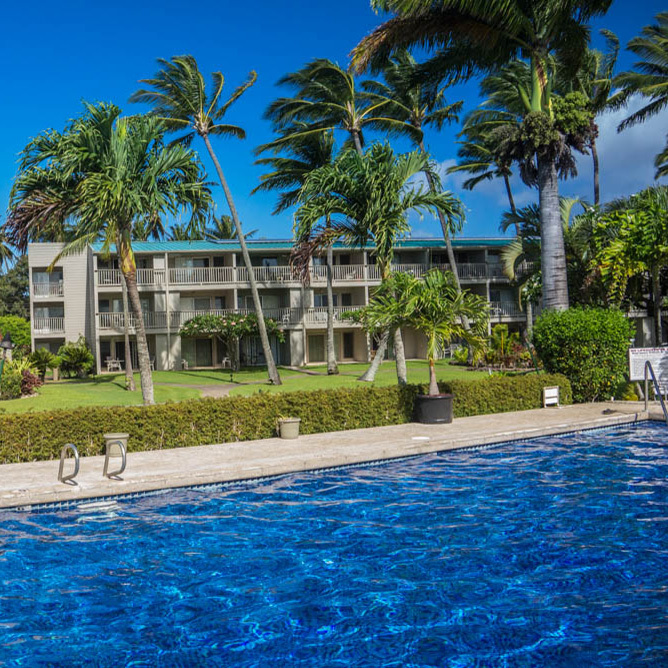 Styled after a Polynesian Village, Aqua Hotel Molokai is located on Kamiloloa Beach and offers open air, ocean front rooms and dinning at the Hula Shores restaurant. The more adventurous might want to consider checking into Pu’u O Hoku Ranch. 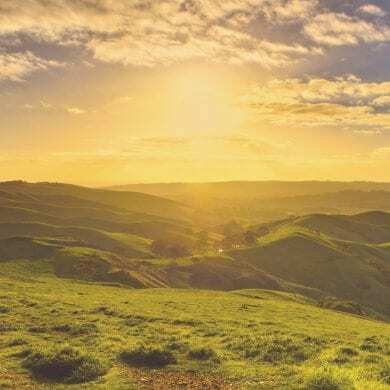 Offering a rather more rustic retreat this biodynamic and organic ranch and farm is set on 14,000 acres of protected land, immersed in the transcendent beauty of forest, sky and ocean. Where possible I highly recommend that you book your excursions through operators based on Molokai. This supports the local economy and promotes a fair market. 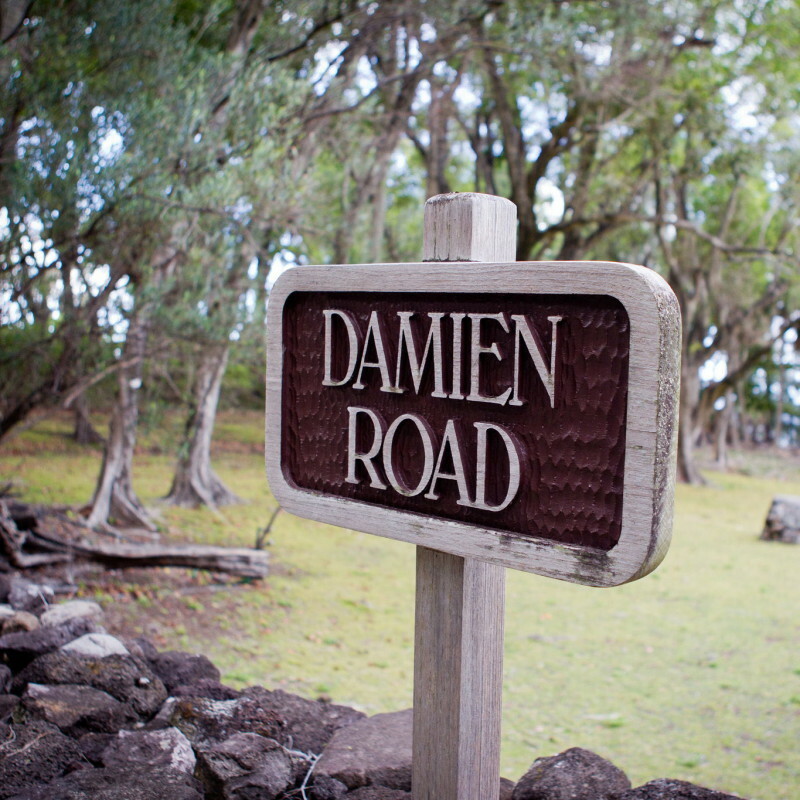 Three miles, 26 switchbacks and 90 minutes of magnificent views accompany the guided mule ride through Kalaupapa National Historical Park to the island’s leper colony. No longer dedicated to the quarantine of those afflicted with Hansen’s disease Kalaupapa is place of reflection, a remote memorial to those who lived out their lives in isolation. One of the Hawaiians’ greatest engineering innovations was their use of aquaculture. Along the southern and south-eastern shores of the island you’ll find remnants of their ingenuity etched into the coastline. Call into the Destination Molokai Visitors Bureau in Kaunakakai for detailed directions. A veritable playground Molokai is the perfect place to indulge your love of the outdoors. 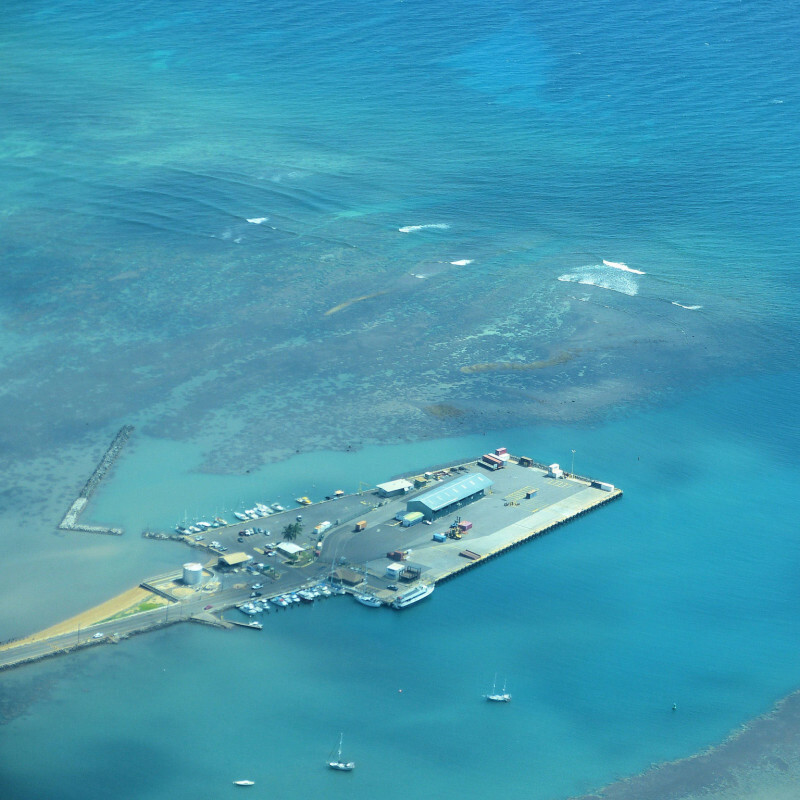 Molokai Fish & Dive offer daily guided diving and snorkelling trips to the island’s fringing reef. If you’re a keen diver and have sampled the colourful reefs of Oceania and Micronesia you should note that Hawaii does not possess similar vibrancy and variety of corals. This is largely due to the intensity of the oceans in the winter which pound onto the shore, damaging anything in its path. Molokai Outdoors can outfit you for a number of great adventures on land, in the air and on the water. 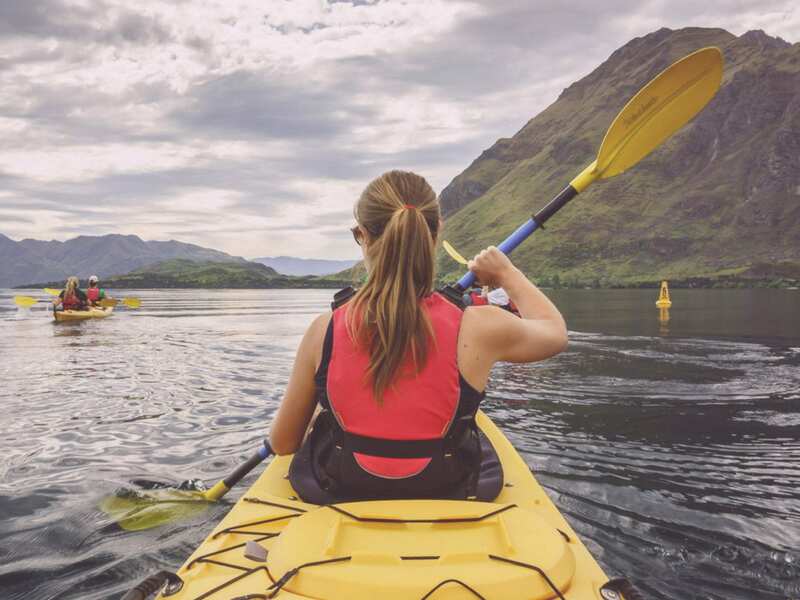 Offering guided and hire only ocean kayak and SUP excursions, whale watching – in season, guided hiking through the mountainous Halawa Valley and air tours over the island, they’ve something to suit every budget. Walter Naki, a friendly local chap with a boat and a great sense of adventure, will get you out onto the water to take in the spectacular sight of the island’s vast sea cliffs. Call into the Destination Molokai Visitors Bureau in Kaunakakai or call Walter on 808-558-8184. For details of annual events on the Friendly Isle hop over to Molokai Events and plan your stay to coincide with one of the islands festivals. The island usually receives delivery of supplies from Oahu on a Thursday and this is when most of the locals head into town to shop. If you can, join suit and stock up for your stay otherwise you’ll have limited selection as the week draws on. Island style does not apply on Molokai. Don’t pack your high heels and dinner jackets as they will sit in your suitcase untouched. Instead pack comfortable casuals, swimsuits, hiking boots, a wide brimmed hat and sunglasses. Consult the weather forecast prior to your stay and pack suitable warmer clothing for the evenings if necessary. For fresh local produce call into Kumu farms, Molokai Livestock Co-Op – open Monday through Friday from 7 a.m. to 3 p.m. For more information, call 567-6994 – and Coffees of Hawaii. 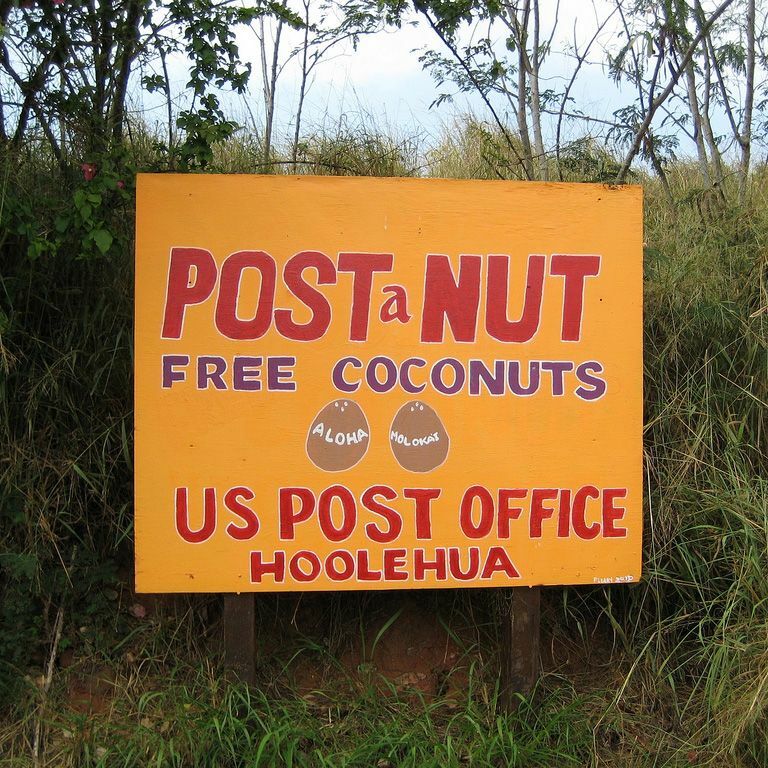 Head into the post office in Kaunakakai and post-a-nut, that’s a coconut, back home to your family and friends! The coconuts are provided free of charge, you just need to cover the cost of postage! Have you any tips to add to our Moloaki Travel Guide? Share details below. Thanks for the really great guide – I have to learn how to scuba dive! 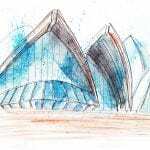 This sounds absolutely amazing – self catering is exactly the accommodation we look for, so we’ll look into those condos. Thanks for the tip on bringing your own groceries! Great to hear that Megan! We loved our rental condo and hope one day to return. There is so much to see on the island, we would have loved to stay for a whole month! I haven’t been to Molokai, because I would love to stay there for at least a week. Your photos are stunning, and I would absolutely have to do the mule ride. Very cool! Great tips Charli! Thanks Corrine. While I would definitely recommend a day trip to the island from Maui if you have the chance – just to sample the authentic Hawaii as it was before mass tourism arrived – in reality a week long stay is preferable. 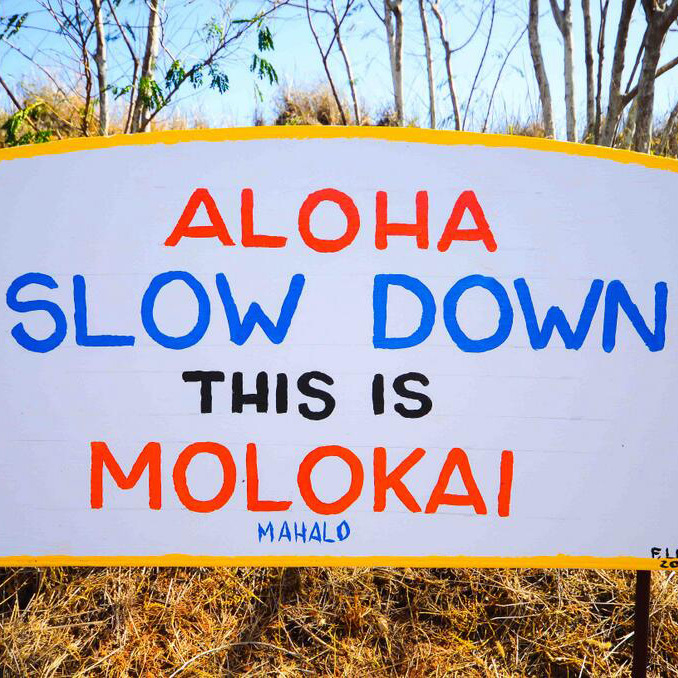 Part of the Molokai experience is slowing down, relaxing and exploring. You don’t want to be rushing around to fit everything into an 8 hour stay. Oh Hannah, flying over the islands is just magical! 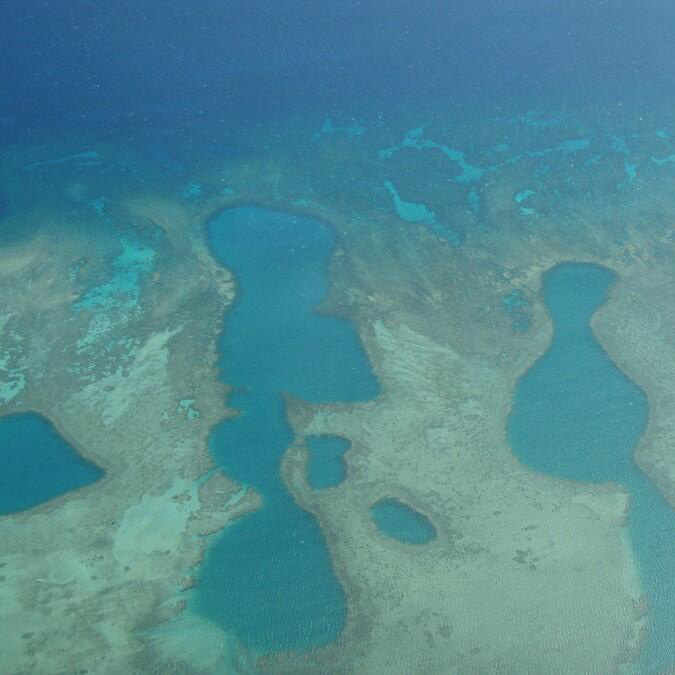 You should definitely consider it, I’m a terrible flyer and really didn’t enjoy the experience of being in such a tiny plane but it was worth it just to see the reef from above! This brought back some great memories, as I lived in Hawaii as a kid and Molokai was my favorite island. It’s nice to see that it has maintained its more rustic and natural flavor as opposed to the more developed islands. These beautiful shots of Molokai remind me that I need to return sometime soon. What a great place to spend your childhood. I can’t imagine how fantastic it would be to experience Hawaii as a child, the colours and landscapes must have been a fantastic playground. This looks absolutely amazing! Molokai is the Hawaii I would love to experience, not the big resort and concrete-fronted beaches of the bigger islands. I didn’t even know it existed so thanks for sharing! 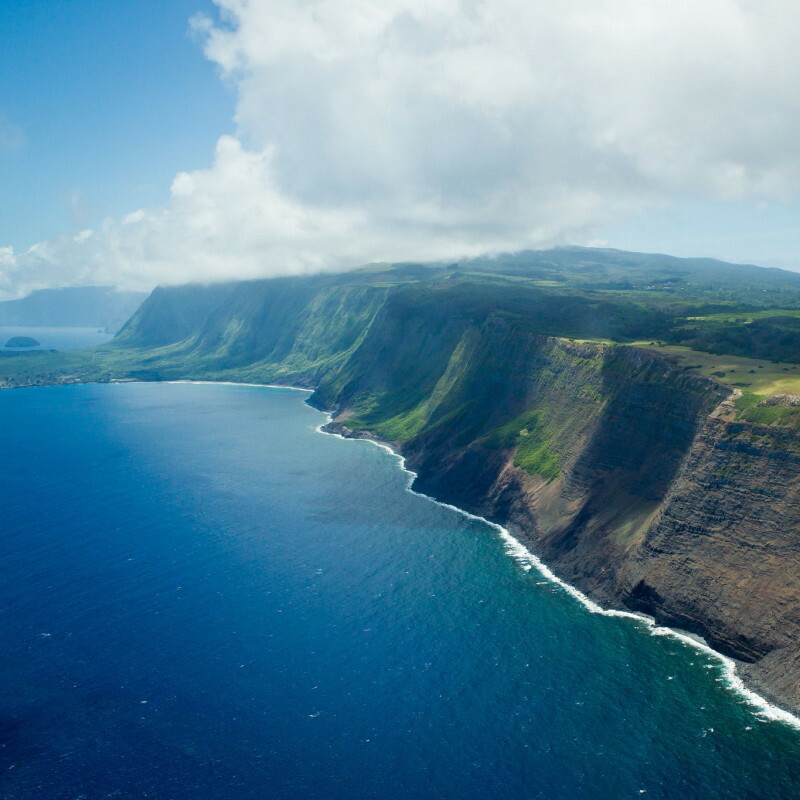 Molokai doesn’t have a big budget for marketing and when you arrive it’s clear why…they’re content to live without the infrastructure needed to accommodate mass tourism! From what we saw there’s no plan to expand the steady trickle of adventurous visitors who fly in and out each year. I hope you make it across one day soon Margherita! 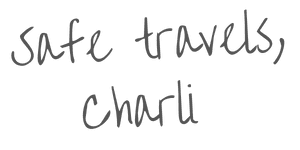 A great review of Molokai here Charli! Hawaii is one of the states we have yet to visit as we make progress to one of our bucket list goals of visiting all 50 US states. This overview will come in very handy whenever we have the opportunity to explore the Hawaiian islands I am sure. I like the idea of self-catering whilst staying on this island. I feel like we are losing the self-catered market as more people are preferring the all-inclusive approach but it surely works out cheaper to make your own meals at home rather than dining out etc all the time. Plus you can really enjoy some of the local cuisine and create your own dishes! Thanks for your comment Chris! I’m glad you’ve found the post a valuable resource. Like the rest of the island Molokai isn’t a destination to visit if you plan to spend your time sampling delectable cuisine. Having said that the fresh produce we bought from Kumu farms was some of the best we’ve tried and the beef from the Co-Op was superb! I had never heard of Molokai before but it sounds way better than the touristic kind of places you’d expect to find on Hawaii. It will be quite a journey for us so not sure if we’re ever going to make it over there, but I’ll definitely keep your tips in mind if we ever decide to come over and enjoy ourselves. It’s definitely worth the trip! It would make a great lay over en route to Oceania if you’re ever heading back that way Antonette! I really want to make it to Molokai sometime soon. I’ve always wanted to do the Molokai mule ride. Hawaii is one of my favorite US states to visit. So many beautiful nature activities. The mule ride is one of the island’s most iconic tours! I’m so pleased that we’ve had the chance to see Molokai, it’ll always hold a special place in my heart. 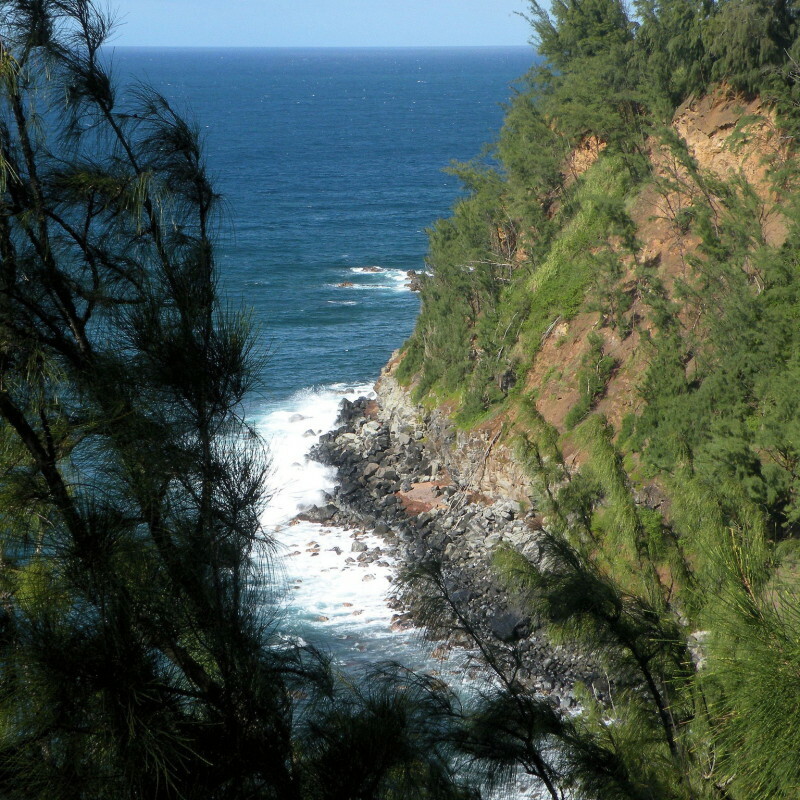 If you love being outdoors and exploring then Molokai will provide the perfect escape! You’ve convinced me, that’s for sure! Molokai sounds just perfect for me, will definitely be adding it to my bucket list. Great stuff! Thanks Catherine, great to hear that we’ve inspired your sense of wanderlust! I haven’t been to Molokai yet, but going for sure. Sounds like there is an opportunity for someone to stand in the streets selling toiletries they bring over from Maui on the boat! 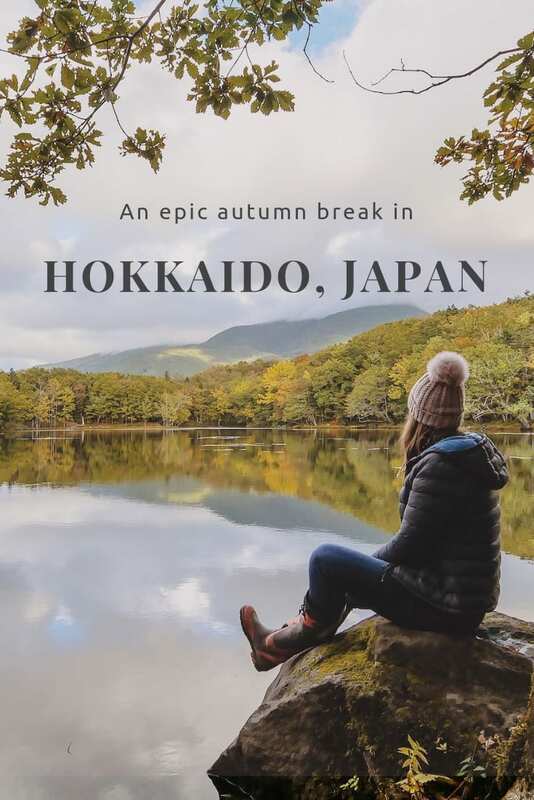 Did you happen to see any hiking trails? Any of that on the island? Aloha! Hi Vern, sounds like you’ve come up with a great business idea!!! There are a number of hiking trails on the island, I would recommend getting in touch with the team at Molokai Outdoors. I reached out to them when planning our stay and they were really helpful, suggesting free activity options and helping us get our bearings. You can hike down to the peninsula through the Kalaupapa National Historical Park, but you must have an elder of the community as a guide. Looks like I’m adding Molokai to my list of islands for my late summer trip. 🙂 I lived on Oahu for a while and have visited Kauai and Maui. I’ll be spending some time visiting with friends and the rest exploring Hawai’i and Molokai! Thanks for the great tips! That’s great to hear Shannon! Thrilled to hear that our guide has helped you plan your stay! 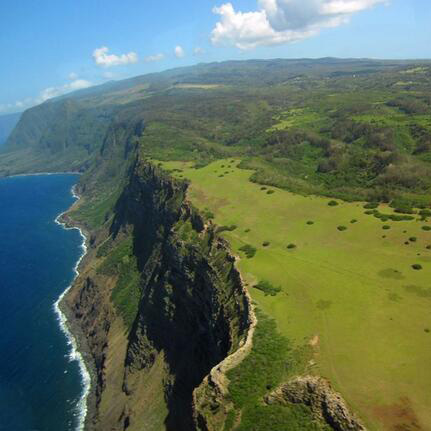 Wow never heard of Molokai looks like its on the list to explore looks so beautiful. That is by far the best post I”ve seen on Molokai ever. No wait, that’s the only one I’ve ever seen! I have a whole site about Hawaii and it’s very hard to get good information about the island. Now thanks to you for this great post. Appreciate it! I’ll have to go next time I’m on Maui! Aloha! That’s so kind Vern! I took a lot of time to put together the information I thought of use to anyone who is hoping to visit. I hope you manage to see the island one day, it really is beautiful! 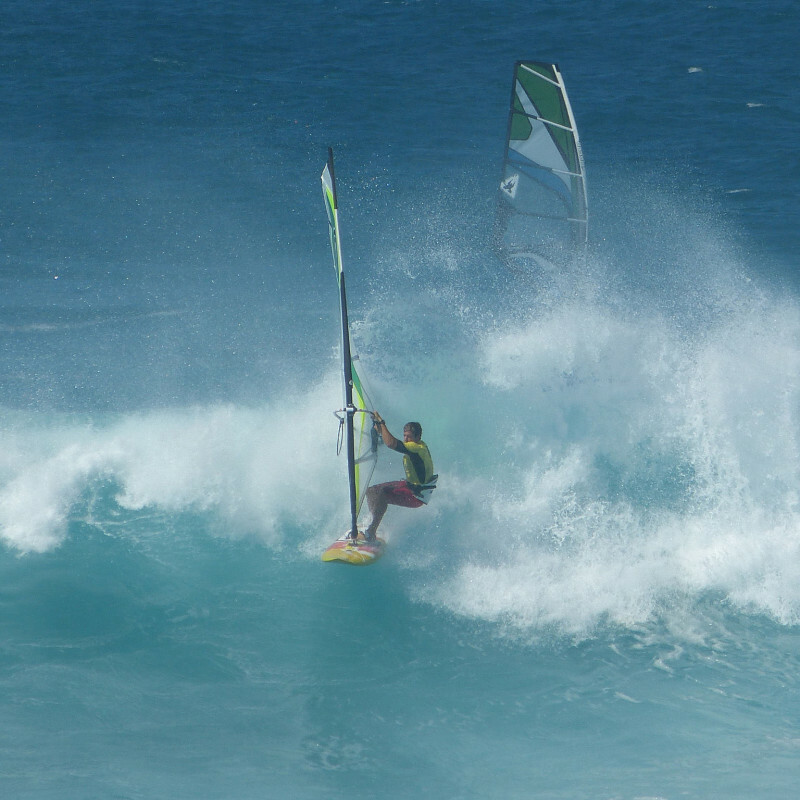 Great article on Molokai. We love it there and go as often as possible (We live on Oahu and have a vacation condo there). Some of your information is a little out of date now, but still valid. You can fly out of Oahu on Mokulele or Makani Kai and not even have to go through TSA, so you can bring whatever you want (Fruits, produce…). Food is a bit more expensive than on the other islands with the exception of produce or meat. You can get fresh produce at Kumu Farms (Open Tues – Fri) or the farmers market on Saturday. We get our beef & Pork at the co-op and pay about 1/2 of what we do here on Oahu. Also, car rentals are quite a bit more than what you stated. You must have gotten a really good deal. Alamo usually runs at least $75 a day for a compact. If there is anything going on (Like a paddling weekend, you may net even be able to get a car). There are quite a few of us owners that rent a car with our places because of this. If anyone is looking at seeing the Hawaii of yesterday or just wants a place to sit back and relax, Molokai is for you. If you need to be entertained, love shopping and fine dining and always need to be on the go, skip Molokai and visit one of the other islands. 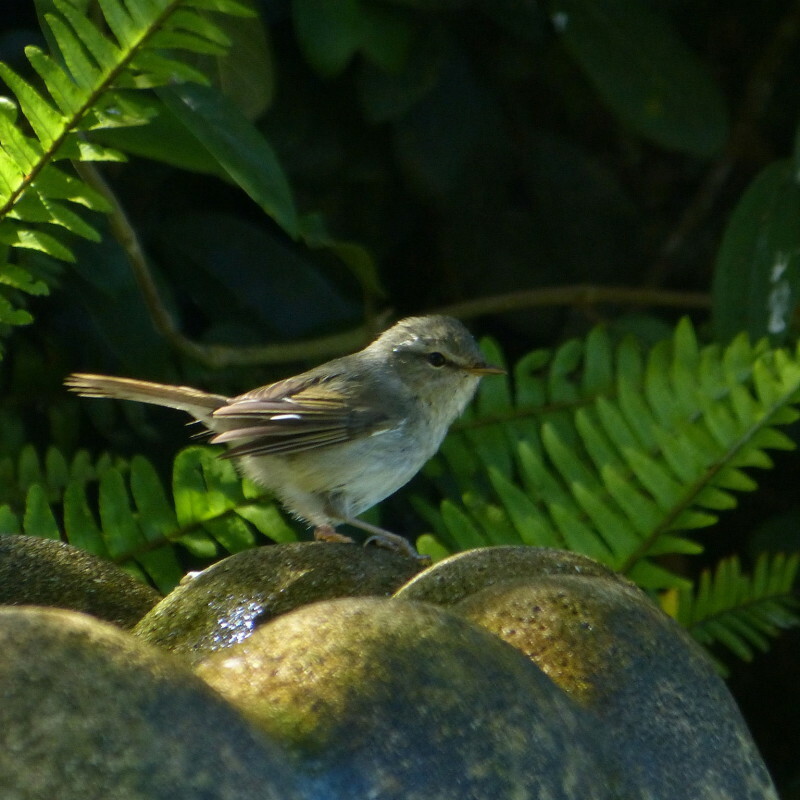 Thank you so much for updating us with regard to the happenings on Molokai! I can’t believe it’s been 18 months since our visit! We just loved our stay and hope one day we’ll have the opportunity to return. Mahalo and safe travels to you! 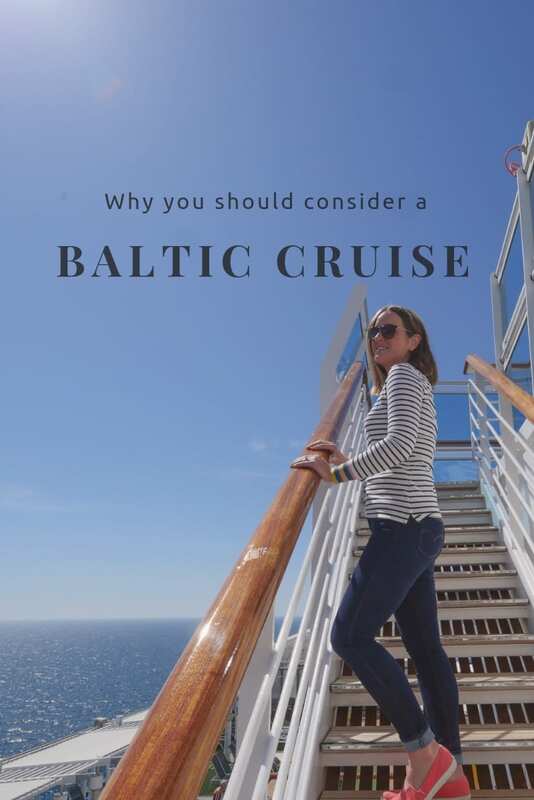 Very nice guide and lovely pictures too! Molokai is a very beautiful island. Thanks for sharing! In this island such a beautiful modern trends mixed together with rich culture and heritage. It’s the most popular place for visitors. These molokai events are so lovely.